There is nothing as nice as a bright white smile. White fillings are aesthetically pleasing. Many people still have a mouth full of silver (amalgam) fillings. 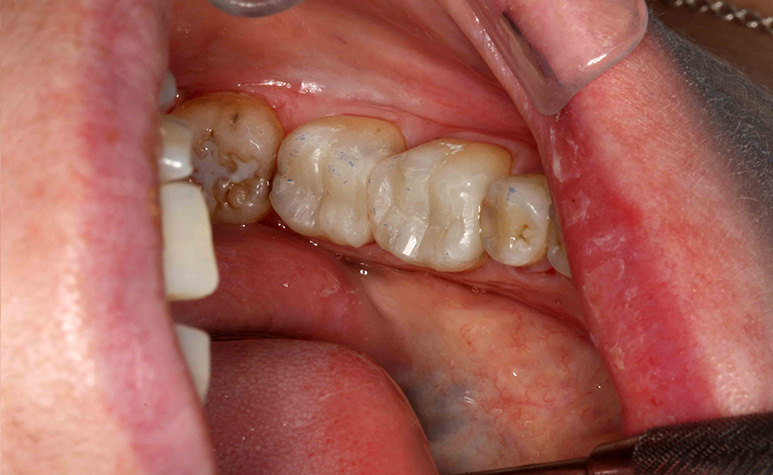 Amalgam fillings are strong and very safe. Some people are concerned about the mercury in Alamgam fillings but many years of testing have never proved a risk. However if you are concerned, it may be worth replacing your silver fillings with white ones as they age. Modern fillings can look good as well as doing a good job, so there is no need to be self conscious about your smile. Is it true that Silver fillings are stronger than White fillings? Why does my dentist want me to replace my old fillings with white fillings? As fillings age the edge where the filling meets the teeth can wear and chip. This breaks the seal around the filling and food and bacteria can get into the gap. As you can't get under the filling to clean it can lead to bad decay. Decay under the metal filling is often hidden from xrays. Often the first thing you know about it is when you experience pain. Your dentist will want to replace the filling as soon as that protective seal goes. White fillings are more expensive, why does my dentist want me to change to white fillings? White fillings bond to the teeth, so your dentist can replace old filling without damaging your tooth further. As the filling bonds to your tooth it will strengthen the weakened tooth as well. Silver fillings don't flex with the tooth, so you are more likely experience a cracked tooth with an amalgam filling. White fillings are more expensive because they are more technically demanding, and therefore take longer to do. The use of mercury in silver amalgam fillings has been well tested over the years. Although the health risks are unproven, we know that some patients can be concerned over any future health risks that may come to light. If a patient prefers not to have any amalgam fillings, our dentists will accommodate them. We can remove your old mercury based fillings safely and replace them with a suitable alternative which will also be more cosmetically pleasing. If you have a full mouth full of fillings you want replaced, it may take a few visits to replace them all. In the photographs below you can see a purple sheet which is used to prevent the patient from absorbing mercury released when fillings are removed. There are 3 main types of material used.